Aidan Meehan's original studies of animal ornaments drawn from the Book of Kells will inspire you to experiment with your own painting techniques and color schemes. Works of art in themselves, the large-scale drawings are developed from motifs from the four main categories of animal patterns used throughout the Book of Kells--cats, birds, eels, and little people--which are often incomplete or difficult to make out in the manuscript. Where the original detail is too miniaturized to allow for contour lines inside the animals' bodies, the author has applied the conventions of large-scale treatments from other designs in the Book of Kells. The folio number of the Book of Kells from which the design has been derived is given for reference to the original manuscript and its color scheme. 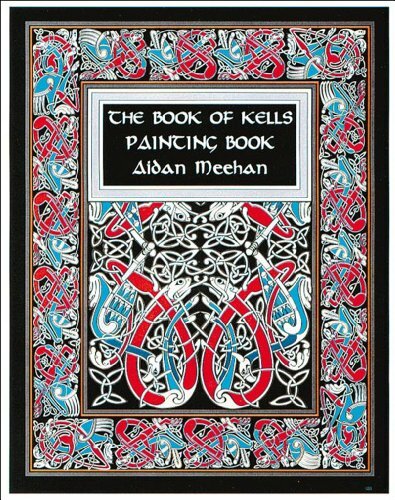 Each design is easy to paint and frame, making this an inspirational book for artists, designers, and anyone fascinated by the Celtic legacy.